Is your dog tired of the same old, same old? Give your dog our Bully Strips. 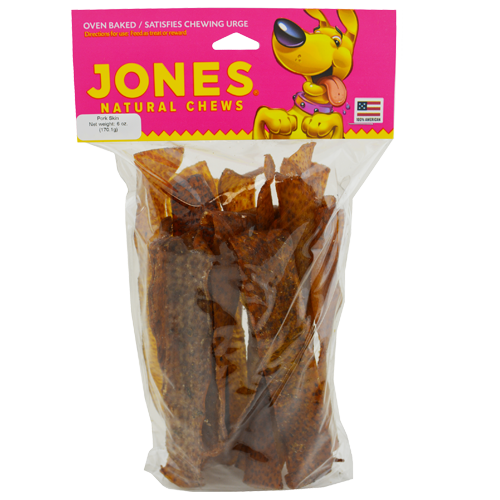 These long lasting chews are great for all size dogs and are a perfect alternative to the pig ear. Bully Basted Strips are pork strips, bully basted, and baked to perfection with no artificial ingredients. As always, Jones products are 100% grown and made in the USA. 1 oz. (28.4g) per oz.